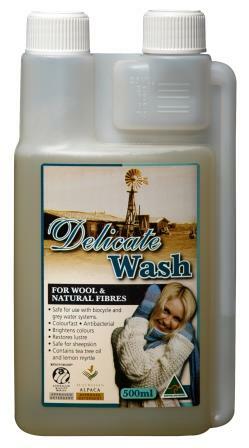 Delicates wash is the same formulation as Woolskin but labeled for the fibre craft market. It is suitable for all natural fibres as well as sheepskin products. Delicates Wash has the Australian Merinomark & AlpacaMark.